Did you know you can apply scaling for your remote desktop connection? I didn’t. Now I do. All you have to do is to add this line to your .rdp file. If you feel limited by one concurrent terminal session you can grab a patch here. Remember you can shadow any another session. This is a bummer, especially if you are the server administrator. At this point you still can use the mstsc /admin /v:myserver command to reconnect and dispose idle sessions to resume normal operation. “connection file” — Specifies the name of an .rdp file for the connection. /admin — Connects you to the session for administering a server. 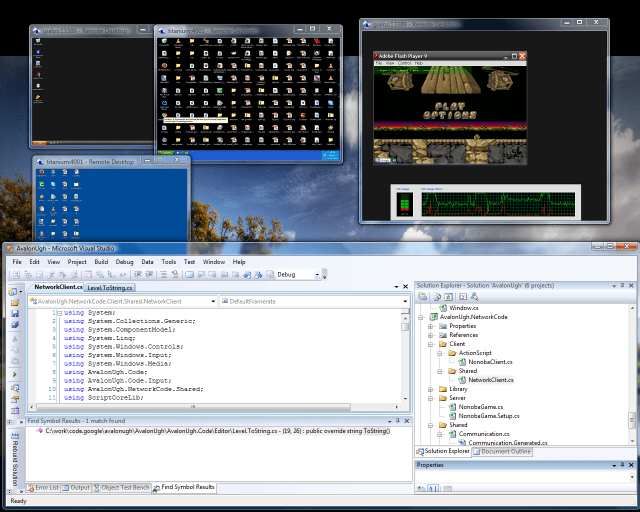 /f — Starts Remote Desktop in full-screen mode. 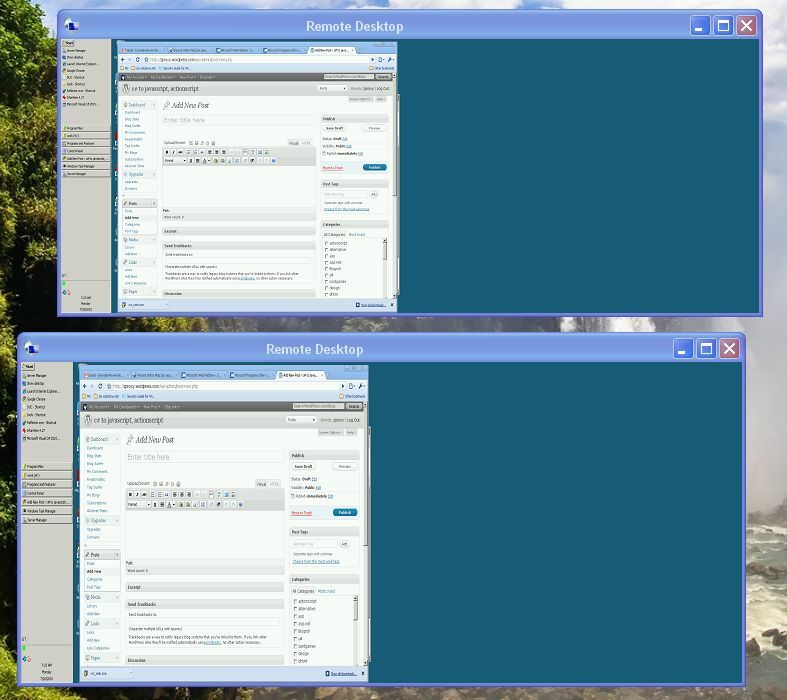 /w:<width> — Specifies the width of the Remote Desktop window. /h:<height> — Specifies the height of the Remote Desktop window. /public — Runs Remote Desktop in public mode. /edit — Opens the specified .rdp connection file for editing. Client Connection Manager to new .rdp connection files. Update: But if you are extremly unlucky, you wont be able to connect to it at all. The administrator has ended the session. An error occurred while the connection was being established. 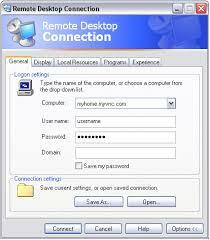 For help solving the problem, see “Troubleshoot Remote Desktop problems” in Help and Support. I had to attach a keyboard and a screen to the server just to realize a reboot would probably fix the issue – which it did. So if in doubt reboot.